I simply love Bandcamp for all what it brings to the music “industry”. They started simple, they are keeping it simple but they also continuously bring new features. Easy to set-up an account for an artist. Easy to upload songs/content for an artist. 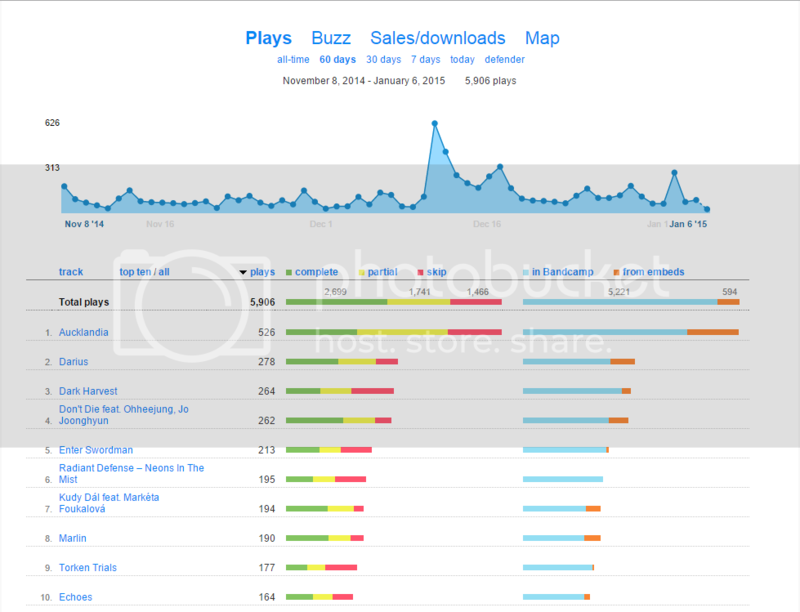 Bandcamp takes only 15% from anything that you sell in there. Which, if you think about it, is quite a small amount considering all the support they give you. As an artist you can sell pretty much anything (merchandise, CDs, digital). Everything is nicely done and orders are easily trackable. Stats are easy to understand and viewable. You feel like they care about the artists. For example every artist can select three other albums on Bandcamp and so when someone buys their album on the download screen they will see album that the artist is recommending. Really cool little feature. You don’t have to register to buy music. If you are registered user anytime you buy something you get it added to your nicely done collection. How many plays on Bandcamp do I get? How many sales do I get? 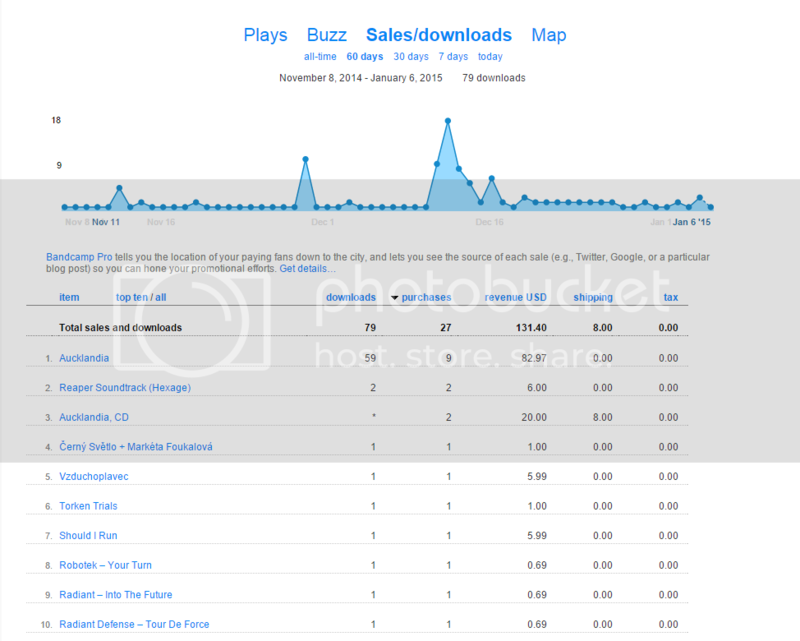 Put all into context – on Bandcamp I would get 131.40 / 5906 = 0,02 USD/Play. Which is quite nice, again I don’t do it for the money but the fact that I earned 131,40 USD in two months will help me cover some of the cost that I spent on Aucklandia. after taking 131,40 USD that I earned – it’s just 572,6 USD to get to 0 cost.